Wildlife friendly 1mm mesh in soft green with easy to use lift over design and sealable opening side. 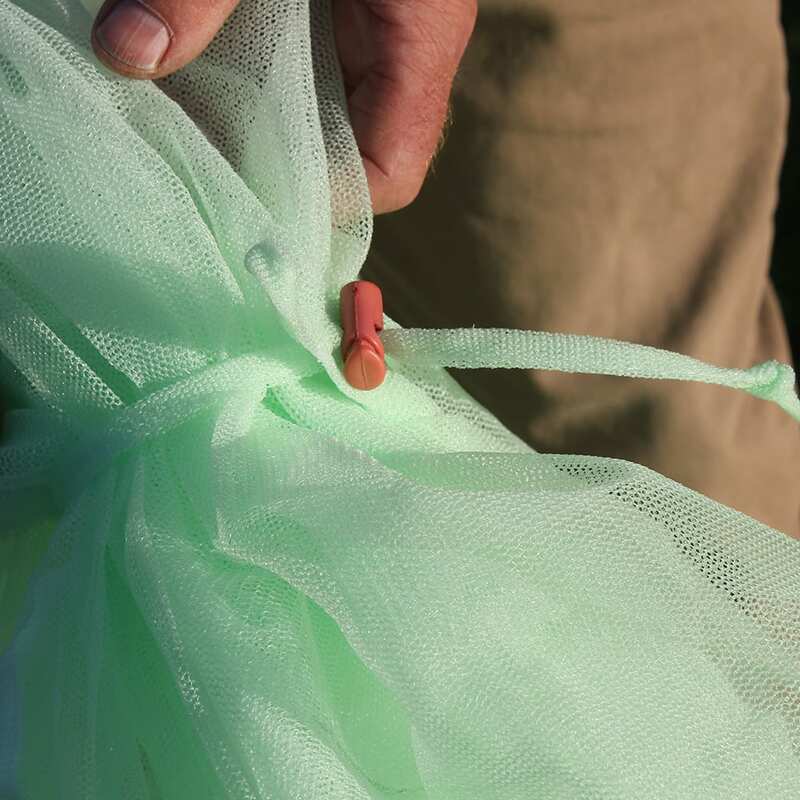 Wildlife friendly 1mm mesh in soft green with easy to use lift over design and sealable opening side. 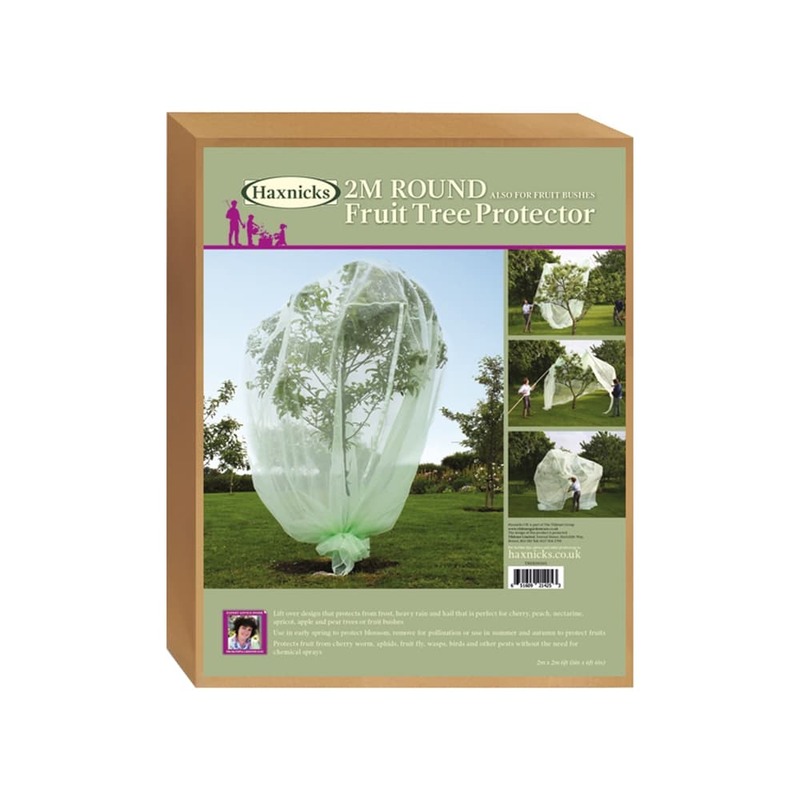 Protects fruit from cherry worm, aphids, fruit fly, wasps, birds and other pests without the need for chemical sprays, as well as frost, heavy rain and hail. 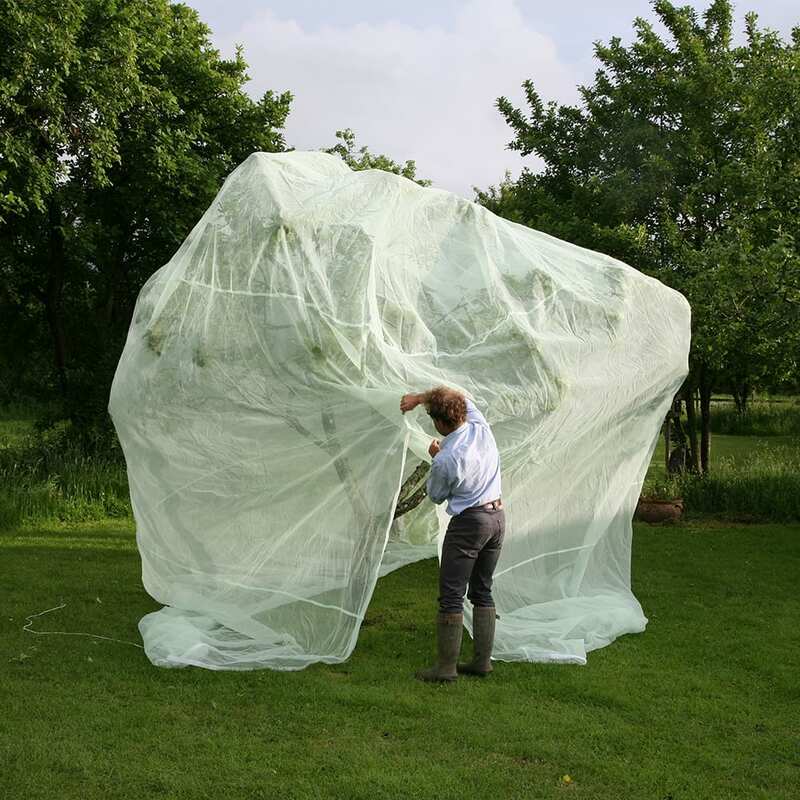 Use in early Spring to protect blossom and remove for pollination, and use in summer and autumn to protect fruits. 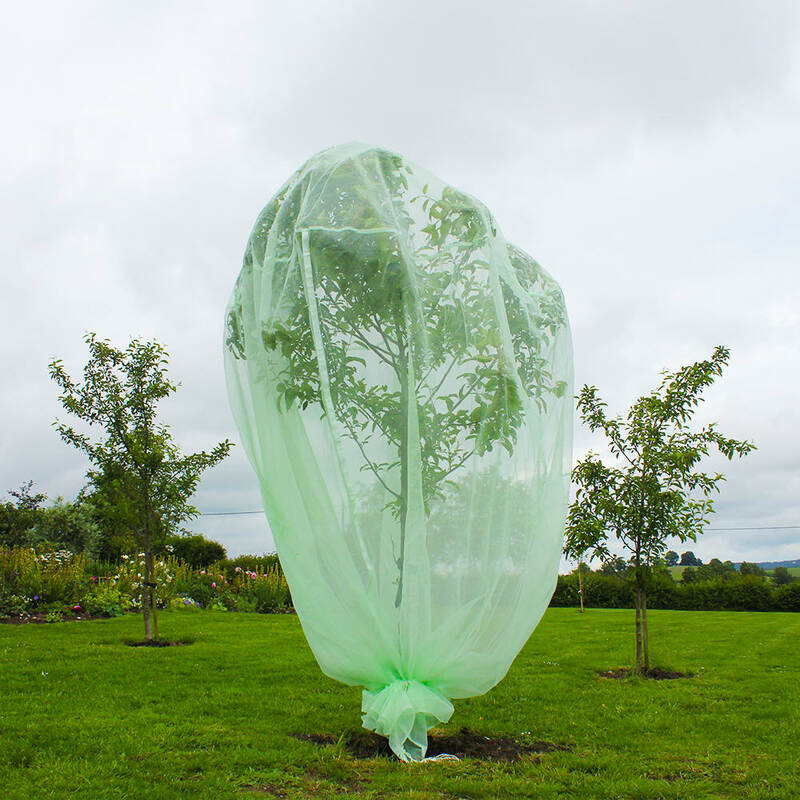 Perfect for Cherry, peach, nectarine, apricot, apple and pear trees.